Tired of High Tuition Costs? Resident students in the state of Pennsylvania have access to a wide variety of financial aid programs designed to help them achieve their post-secondary educational goals. These programs consist of scholarships, grants and loan forgiveness programs that are supported by the state government, and administered through the Pennsylvania Higher Education Assistance Agency. Since 1963 the PHEAA has been helping college-bound students in Pennsylvania find the money they need to pay for college. Today the PHEAA continues to offer valuable financial advice and assistance to resident college-bound students of the Keystone State. The first step on the path to financial aid is to fill out and submit the Free Application for Federal Student Aid. The FAFSA is required for all Federal and state sponsored financial aid. It is also used to determine eligibility for most privately funded and school sponsored grants and scholarships. After submitting the FAFSA, students will receive their personalized Student Aid Report, which will outline the levels of financial assistance for which they have qualified. Students should make the FAFSA a priority before applying to any Federal, state or independent financial aid programs. 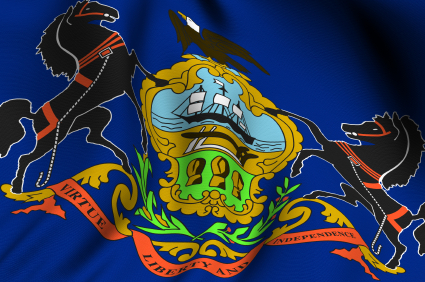 The Commonwealth of Pennsylvania supports a variety of grants and scholarships designed to help students in the Keystone State meet the costs of their higher education. The majority of these programs target the needs of students engaged in general studies, and can be applied at any in-state college or university. As with all state sponsored financial aid, programs are subject to change according to the availability of funding. The following general financial aid programs are available to Pennsylvania’s resident college-bound students. The Pennsylvania State Grant Program is available to undergraduate students enrolled in a participating in-state, or out-of-state, college or university. Applicants must demonstrate the requisite level of financial need, and must be enrolled at least half-time in an approved course of study. Award amounts vary, and are determined by financial need, cost of tuition, and availability of funds. The Pennsylvania House of Representatives Scholarship Program is a privately funded annual scholarship administered by the Pennsylvania General Assembly. Two full tuition scholarships are awarded every year to eligible students enrolled full-time at a state college, university, or trade school. In order to qualify students must have a minimum high school GPA of 3.0, must demonstrate a commitment to the community through extracurricular activities, and must meet the requisite level of financial need. Application must be made by mail, and students must provide three letters of recommendation. The Blind or Deaf Beneficiary Grant Program is designed to provide financial assistance to visually and/or hearing impaired students to help them pay for college. Applicants must be enrolled at least half-time in a state college or university, and must be able to provide documentation from a physician detailing their level of impairment. The maximum annual award is $500. The Pennsylvania Chafee Education and Training Grant Program is available to undergraduate students who are aging out of the state’s foster care program. To be eligible, students must be in foster care, or recently discharged from foster care, and must be enrolled at least half time at an approved college or career school. The maximum annual award is $3000. The Partnerships for Access to Higher Education Program provides additional grant money to students who have already qualified for a Pennsylvania State Grant, or who have received a grant or scholarship from a partnering state organization. Eligible students must be enrolled at an approved state college or university, and must demonstrate the required level of financial need. The maximum award amount is $2500 per academic year. The Pennsylvania Post-Secondary Educational Gratuity Program provides for the college financial needs of the dependent children of first responders who have been killed in service to their community. Applicants must be the child of a police office, firefighter, rescue or ambulance squad member who died as a result of performing his or her duties. Students must be enrolled at least half-time at a participating state college, university or trade school. Award amounts vary, and are determined by financial need. The Pennsylvania Targeted Industry Program provides grant money to eligible college-bound students who are pursuing careers in energy, agriculture, food production, and diversified manufacturing. The maximum award amount as of 2012 is $4,348. In addition to the grants and scholarships administered through the PHEAA, Pennsylvania offers two loan forgiveness programs for students who are pursuing careers in certain high demand professions. These programs are designed to repay part, or all, of a graduate’s outstanding student debt if they fulfill certain work-related requirements. These are, in essence, award-for-service programs. The Public Service Loan Forgiveness Program is available to graduates who have received Federal Direct Loans, and who are working within the state in a public service capacity. Eligible service includes careers in child protection and family services, law enforcement, early childhood education, public health, and public services for individuals with disabilities. The Federal Teacher Loan Forgiveness Program is offered to graduates with outstanding Direct Loans who are working as teachers at a designated critical shortage facility, or in low-income communities within the state of Pennsylvania. Graduates who have been approved for the program may be eligible for up to $17,500 of loan forgiveness. Beyond the state supported programs already discussed, students in Pennsylvania also have access to a wide range of independently funded grants and scholarships designed to increase the public’s access to higher education. These financial aid programs may be funded by local governments, or by private donations. The Philadelphia Education Fund is dedicated to improving the quality of public education in Philadelphia and the surrounding regions. The PEF supports a variety of educational initiatives, including scholarships for college-bound high school seniors. The Philadelphia Scholars Last Dollar Scholarship is a need-based award that is designed to help students fill in the gaps in their college funding. To be eligible, students must be graduating seniors of a participating area high school, and must meet the the required level of financial need. Award amounts range from $200 to $4000 per academic year. Kids Chance of PA provides scholarships for the dependent children of Pennsylvania residents who have been injured in a work related accident. Applicants must be under the age of 25, and must be enrolled in an undergraduate program at a participating college or university. The scholarship is renewable for up to four years. The York County Community Foundation sponsors a number of grants and scholarships for local residents. The YCCF’s flagship program, the York County Dollars for Scholars Program offers annual scholarship awards to college-bound high school graduates from York County. The program is designed to help academically gifted students with unmet need close the gaps in their college fund. Award amounts vary. The Crawford Heritage Community Foundation offers a number of annual scholarships to graduating seniors of a Crawford County High School. Many of the foundation’s scholarships are career specific, and target students who are enrolled in medical, dentistry, or engineering programs. For more information on regional organizations throughout the state of Pennsylvania that offer financial aid for resident student,s please consult the PHEAA’s list of Participating PATH Partners. College-bound students in the Keystone State have access to a wide variety of financial aid programs designed to make a college education more accessible. Whether they are funded directly by the state, or through local organizations and regional foundations, they share one common goal – to make a college education more affordable for all of Pennsylvania’s residents.